Nope, I didn’t spell “ugly” wrong. The pen really is called an UGLee pen (even if they are ugly). The ‘U’ in UGLee stands for “ultimate,” the ‘G’ for “grip,” and ‘Lee’ is the last name of the pens creator, Dr. James Lee. These pens do have a very unique grip. I’ve never owned a pen quite like this one, or quite as expensive as this one either! Dr. Lee set out to design an extraordinarily comfortable ergonomically designed pen, a pen that wouldn’t make your hand cramp. The pen weighs a mere 11 grams (that’s super light, even for a pen). The ink writes very smoothly, too. But what I like best of all about the pen is the comfy, squishy grip on it. Overall, I really like the pen, but at $19.99 for a three pack, I seriously doubt I’d ever purchase the pens on my own. I will certainly enjoy using the pens while I have them though! Apparently Luke liked the pen too, because he was toting the pen through the house. I asked what he was doing with my pen. Oh no! This was not going to happen! My husband was not going to kidnap one of my fancy, expensive, new pens and hold it hostage at work…or worse yet, lose it at work! I calmly but firmly let him know I would not appreciate him doing that. Ah ha! Now I know where all of my good pens have gone, you know the ones that actually write without having to scribble on the side of the page first. A bit agitated, I now scolded my husband, “You better not take anymore of my pens! Covenant Eyes can buy you your own pens for work, but you leave my pens alone.” He seemed a bit perplexed by my discomposure. 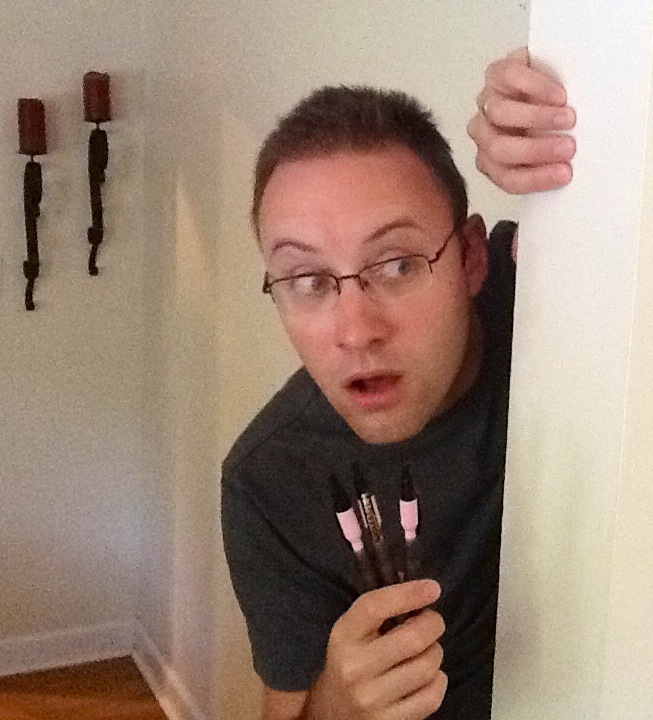 If you’re a Covenant Eyes employee and if you see one of my lovely pink UGLee pens at work, don’t give it to Luke! Be sure to bring it directly to me. Oh, and if you happen to be one of Luke’s supervisors, would you please purchase a few decent pens for him to use at Covenant Eyes so he doesn’t feel tempted to steal my pens. If you, too, would like to try out a three pack of these fancy, expensive pens, but you’re like me and much too cheap frugal to purchase them, you’re in luck! We’re having yet another raffle giveaway and all you need to do is complete at least one of the following items below, or complete several of them for more chances to win. This giveaway will end 7/31/12? Leave us comments to let us know what you’ve done! 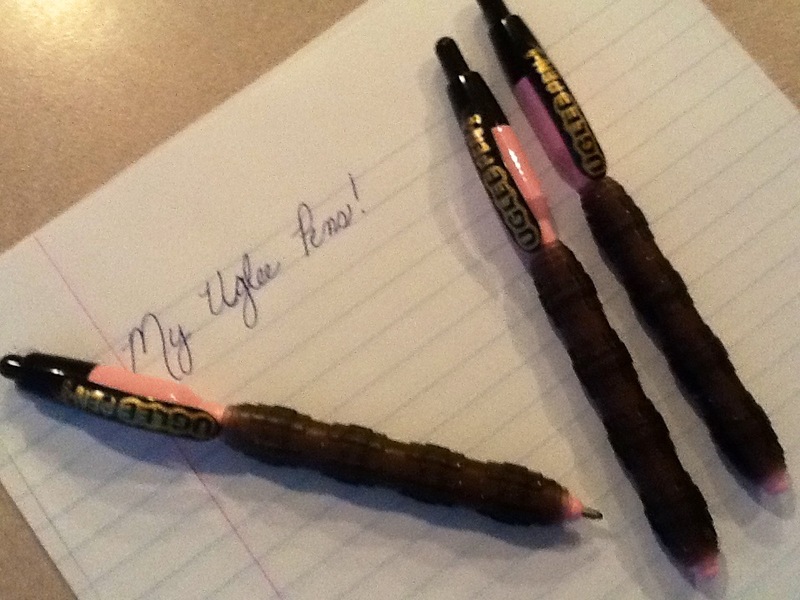 Leave us a comment telling us one thing you learned about the UGLee Pen by going to their website. Like UGLee Pen on Facebook. Like Intoxicated on Life on Facebook (and if you already ‘like’ us, just say so below). Follow UGLee Pen on Twitter. Follow Intoxicated on Life on Twitter (and if you already follow us, just say so below). Daily bonus entries: tweet about one of our posts and/or share a post on Facebook, one post per day. Don’t forget to let us know in our comments each day what post you’ve shared! Unfortunately for our friends around the world, this giveaway is only for those residing in the US.